and figure I'm one up on the system. Started riding on a new '61 Super Hawk. 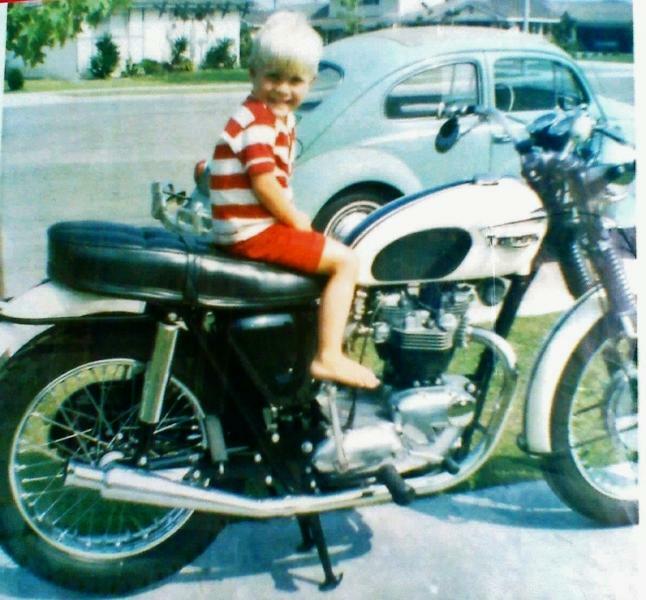 In honor of the UK I bought a Triumph Trophy in 1967. Loved that bike. my current ride. Yamaha Raider. Boy on bike is now 49.